Loretta Lynch began a new chapter in her life continuing her journey in law as she was sworn in as the 83rd U.S. Attorney General last Monday by Vice President Joe Biden. With her husband and father, who recently celebrated his 83rd birthday by her side, Lynch took the oath of office to become the first African-American woman to hold the position. Lynch was nominated by President Obama five months previous to a long-delayed Senate confirmation vote of 56-43. The confirmation had been held up because of a month-long impasse in the Senate over legislation aimed at curbing human trafficking. Both Republican and Democratic parties were unsettled about how long it took for a decision to be made. This decision has never taken this long when determining a vote on U.S. Attorney General. Politics also impacted the nomination. Republicans voted against her because of their anger over Obama’s recent executive action on immigration, which would provide deportation relief for up to 1.8 million undocumented immigrants. Vice President Joe Bidden says, “It’s about time.’’ “If there is anything you need to know about Loretta Lynch, it’s that she has excelled at everything she has done,’’ Biden said. Lynch is the daughter of a preacher who uplifted his community by hosting sit-ins in Greensboro N.C. pursuing equality. Granddaughter of a sharecropper who secretly helped African Americans get to the North to escape Jim Crow discrimination laws. The African American community supported Lynch during her wait with peaceful protest. Lynch also had more than two dozen of her Delta Sigma Theta Sorority sisters in attendance during her initial hearing. 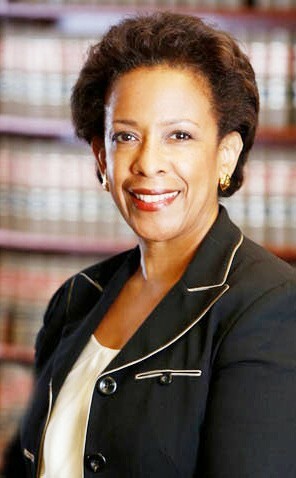 Lynch was chosen to succeed Eric Holder. She was previously United States Attorney for the Eastern District of New York.